Google have recently revealed a new way to game to the public; The Google Stadia. Taking inspiration from Netflix and other streaming sites, the multi-billion pound company has developed a system which allows you to stream the latest video games to any device directly from Google’s servers, requiring no download, so can be played instantly. The platform is designed to work with current Google smart devices, such as Chromecast, Nexus Tablets and Google Home, as well as other Android devices and smart TVs. Rumours of a Google produced console have been going around for years, but a streaming service is a new take on the console concept. Stadia will also have a controller that can connect to existing devices, allowing you to fully immerse into the games. Stadia will also be integrated with YouTube, allowing games to be streamed directly from watching YouTube videos of that game, as well as a content sharing function direct to YouTube, allowing live streams to happen. However, this streaming brings lag to question. Google have a solution though – by using its own hardware and the internet in a direct route, rather than a daisy chain of servers like standard internet streaming. However, no price or release date has been given for the new service, and there is very little information as to which games will be available on Stadia (so far only DOOM and Assassins Creed Odyssey have been announced). 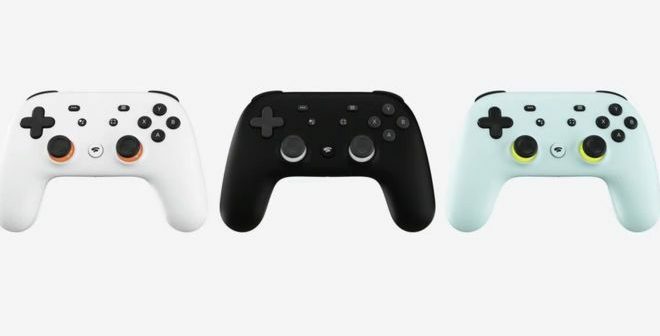 We will have to wait and see if Google can stand up to Microsoft and Sony with Stadia.